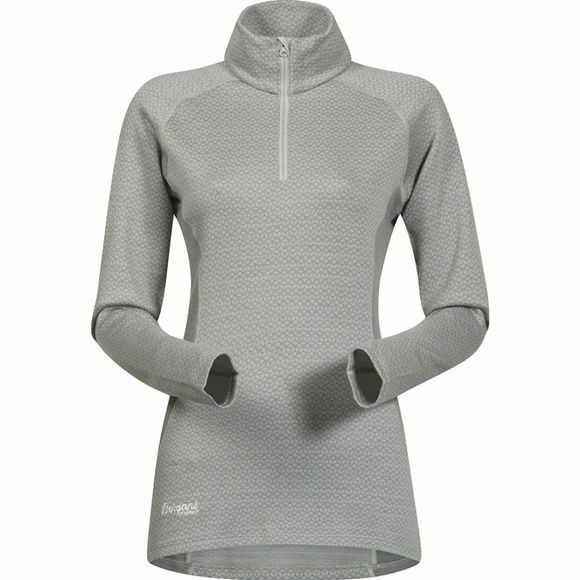 The Women's Snøull Half Zip is snug and warm when it is cold outside. It has a Jacquard pattern and is very flexible, making it an excellent choice for any outdoor activity in cold weather. The Merino wool's natural properties provide supreme temperature regulation at all times, making it the natural choice for versatile, active use in cold weather. The Women's Snøull Half Zip is suitable for stand–alone use, as an innermost layer right next to the skin, or as a mid layer on top of another, thinner woolen garment. Ideal for multi–layering.